I have no doubt that Tasha Noels latest range - Vintage Market will be huge hit. 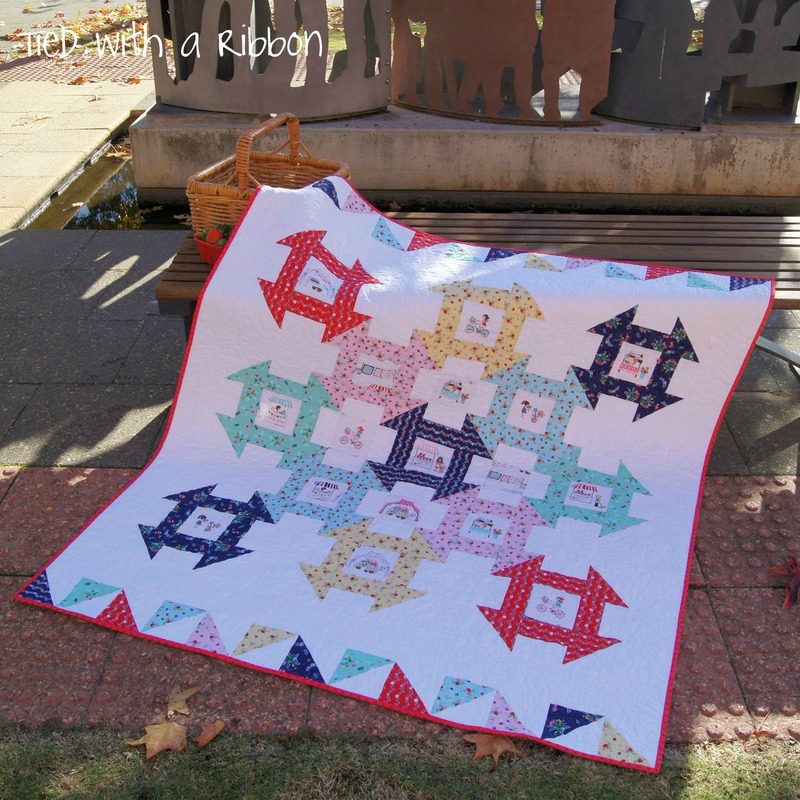 Designed for Riley Blake Designs and now available here in Australia this range has the sweetest prints and the colours in the designs are just sublime. This range has some beautiful Fussy Cuts and those are what I wanted to feature within this new quilt design. 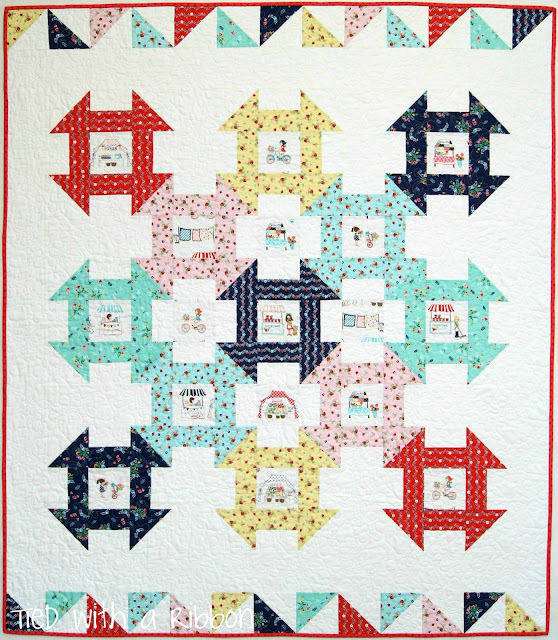 A modern twist on the Traditional Churn Dash Blocks to create a design that showcases these Fussy cut characters. 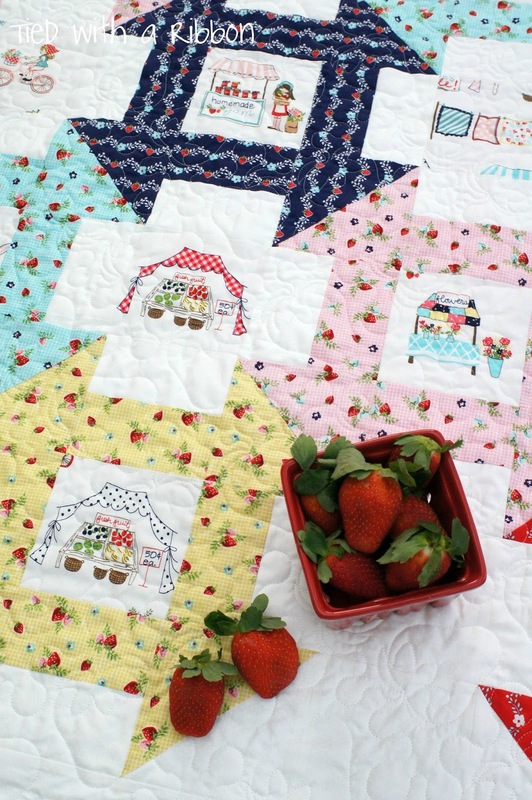 A sweet quilt filled with strawberries, fair stands, jam bottles and girls on bicycles. 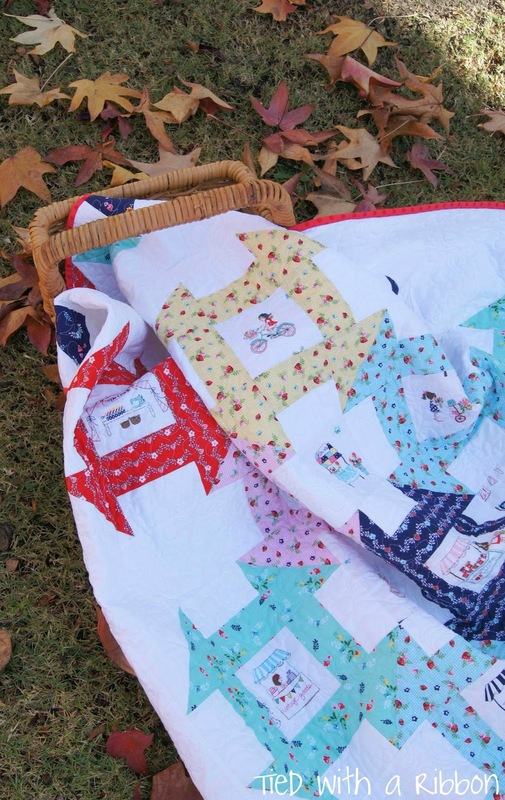 I had this quilt professionally Long Arm Quilted by Carol Brady of The Quilting Cottage. 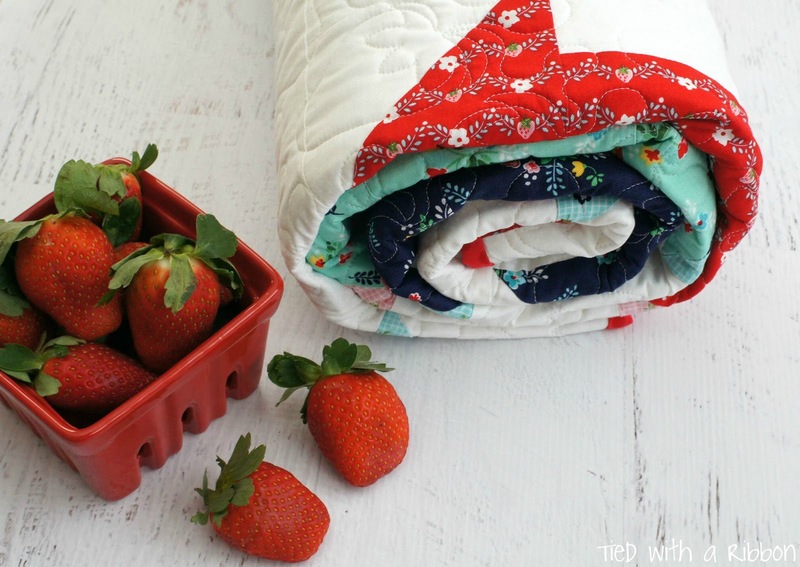 The design features strawberries and leaves. Oh my! 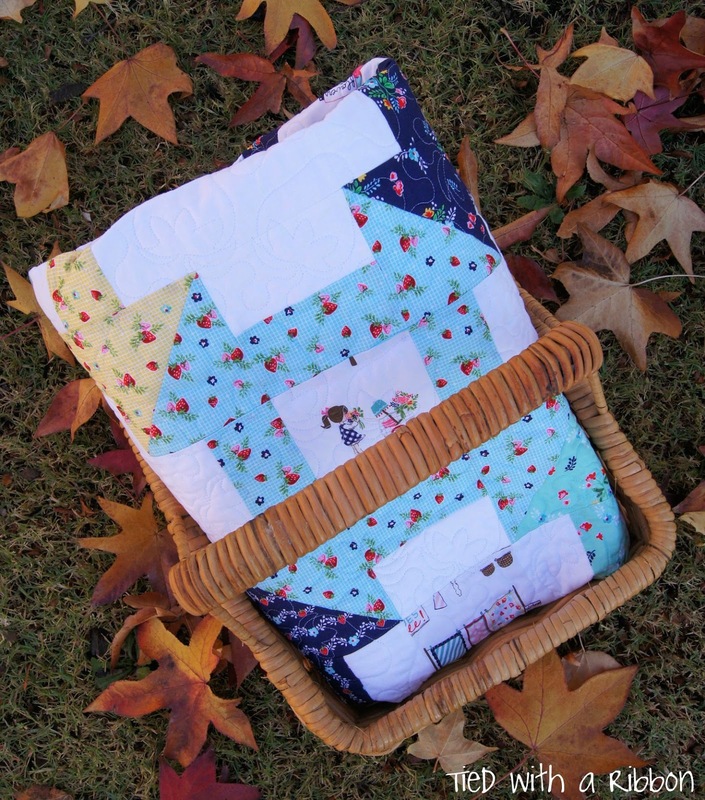 This is a lovely pattern - suits this fabric beautifully.